Thank you so much to all the people who shared or liked the last post about the 52 Lives School of Kindness. We woke up to a crazy amount of emails from people requesting workshops. I promise we reply to you all soon. 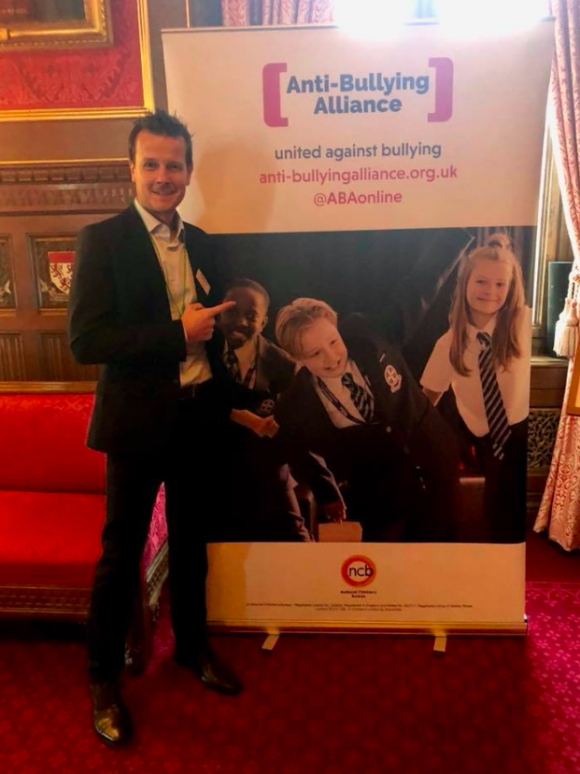 Today I attended the Houses of Parliament for the Anti-Bullying Alliance meeting. So many wonderful things are happening around the country. 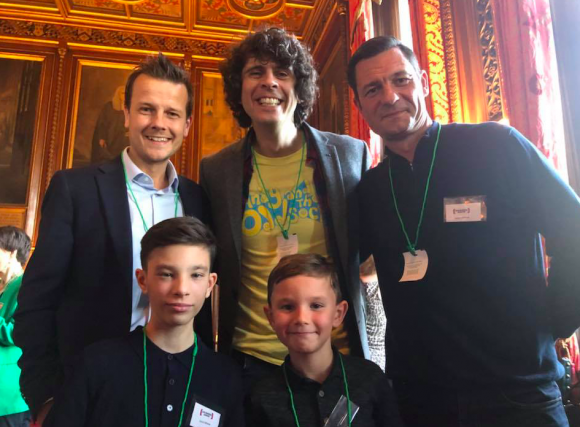 Lots of great people from MP’s to secondary school children gave inspiring speeches and Children’s TV presenter Andy Day was also there. 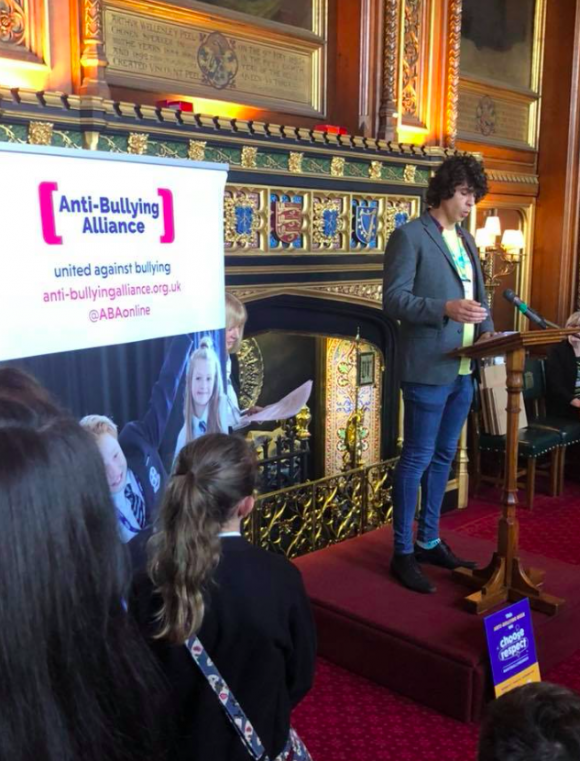 Andy gave an inspiring speech about bullying and his work with Andy’s Odd Socks. An initiative he set up to let people know that it’s ok to be different. Andy also introduced us all to an incredible young guy called Oscar. Oscar has a condition which inhibits the development of growth hormones. The result of which is that he is a smaller and less developed than the average 11 year old. Worried about starting high school and the possibility of facing a barrage of questions, whispers and potential bullying, he decided to make a video explaining his condition. 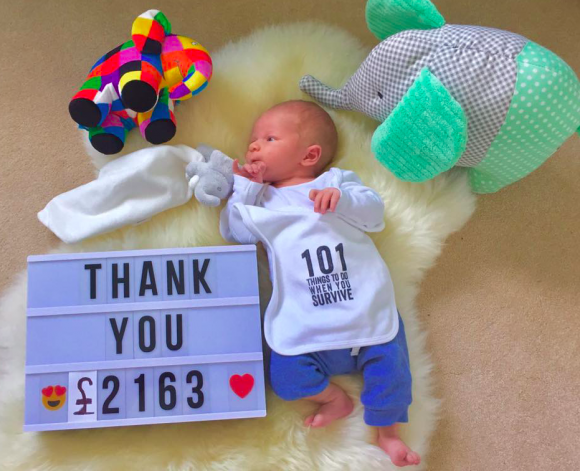 This video went viral on the internet and he has now inspired people all over the world. When I had cancer as a 7 years old I was called names like cancer kid and made fun of for having no hair. That name that would send me running home in tears. Although this may have been perceived as juts harmless name calling, it went on to affect me for a long time afterwards. I felt alone, different and also ashamed for having cancer. Throughout high school I told very few people I had had cancer and would cover my scar with my arm when getting changed for PE. The long lasting impact childhood bullying can have on a person should never be underestimated. It took a long time for me to realise that it was ok to have had cancer. It was only a lack of understanding from the other children that led to this type of bullying. Seeing how Oscar explained his condition to his future school friends is incredibly inspiring and I know his story will inspire many others. I wished he had been around when I was 7! I’ll stop banging on about this now but If you’d like keep up to date with everything we are up to you can follow the 52 Lives – School of KindnessFacebook page or track our progress via our Insta stories on instagram at 52 Lives and 101 Survive. Much love and thanks gang.